The 2017 Samsung Q8C TV series is best summed up in one word: BRILLANT! There is a choice of three screen sizes 55, 65, and 75 inches! The Q8C Series is QLED technology (Quantum Dot Light Emitting Device) and meant to compete with the more expensive OLED (Organic Light Emitting Diodes) TVs. 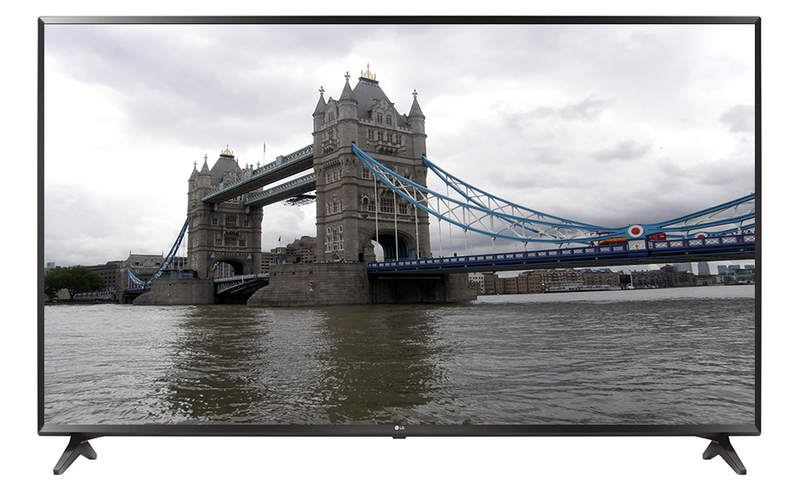 Experience BRILLIANT contrast ratio and the brightest of color along with sharp image detail. The overall set design has sleek chrome border and wide chrome stand that is, er, mmm, BRILLANT! 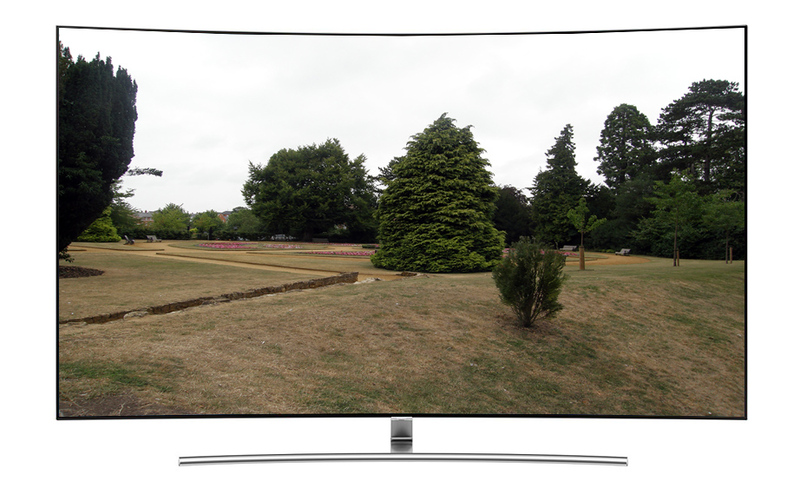 The upscaling of lower resolution content to the 4K screen resolution is, oh heck, what else? BRILLIANT! The Q8C TV Series is best for movie lovers, due to fast processor of 240 Hz, abundant ports and great upscaling of older content. Additionally, 55(QN55Q8C), 65(QN65Q8C) and 75(QN75Q8C) inch screens with brilliant color (Did I say that word again?) will be ‘heaven sent’ for sports and video game enthusiasts! This 4K, Smart TV, QLED technology brings a superb color contrast, bright color, sharpness of image detail with a smooth image transition. It is best appreciated in the screens larger than 55 inches and so we recommend the curved 65-inch screen as best value in high tech luxury TV viewing. Sound volume is above average but volume harmony below average. Local dimming is poor bringing a diminishing of the darker black tones in a dark scene. Sleek thin modern chrome border for aesthetic beauty. QLED color technology provides perfect contrast ratio. 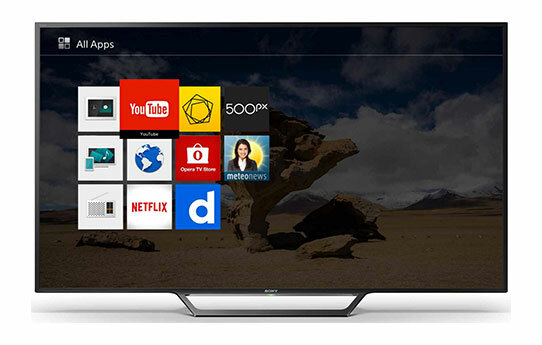 Smart TV with abundant apps for abundant content streaming. You can’t miss the unique design of the curved panel Q8C TV series TVs. The border is metal chrome rather than the standard black plastic. Border does not take away anything from the screen at a mere .39 inches (1 cm). As thin as the Q8C TV screen is – be assured it is ‘sitting pretty’ AND stable with the widest V – shaped metallic chrome tripod type stand. The back of the set has a textured finish and comes with a cover to hide the back inputs. Due to the curved sleek screen, the back cover will not impede wall mounting your Q8C. Time to look at what matters: the contrast ratio, the color uniformity, the refresh rate or frames per second that image content comes across the screen. The Samsung Q8C, with latest QLED technology, (Quantum dot light emitting device) sports an excellent contrast ratio by reason of BILLIONS of pixels (Dots) of color and light streaming through each individual pixel. Color uniformity, showed slight color shift when viewed at angle. With 240 Hz processor, motion blur is minimal, making fast action sport viewing, video gaming and movie content a pleasure! 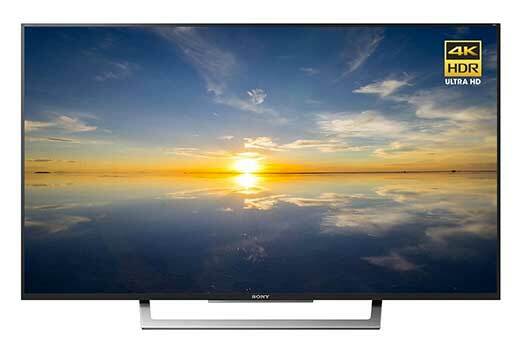 The glossy screen finish has minimal light reflection should you watch your Q8C in average lit room. Contrast Ratio, Color Uniformity, and Refresh Rate not to quibble over, it’s PERFECT! Sound. This is always a difficulty with the thin curved screen design. The Q8C is above average for overall sound volume frequency, soft to loud, but the harmony balance of volume does give some distortion. The small inconvenience of sound harmony distortion alleviated with the purchase of an external sound bar. Where do I start in providing my overall perception of this high end TV found with the Samsung Q8C? Perhaps I should talk of the abundant streaming content found and the ease of navigating the popular apps with the Tizen OS. Maybe I should just speak of that spectacular color that QLED technology has created using light and billions of microscopic pixels (‘dots’) which seems to, at times, transport me from armchair to a feeling of standing right on the baseball diamond, football gridiron, or local green of the golf course. Such a ‘real life’ viewing experience could only be due to the ultra sleek chrome border providing full screen clarity as though looking out a window. Such sharpness to images thanks to great contrast ratio as well as 4K screen resolution. I can almost feel the texture of the ‘ol pigskin, the stitches on the baseball, and dimples on the golf ball. I feel as ‘one of the team’ as the bright luminous color, enhanced by the HDR 1000 color part of the Q8C, blinds me of the reality of the everyday ‘musts’ of household chores, working the 9-5 job in the dull grey office cubicle space, fighting the commuter traffic. Here comes ‘my’ pitch . . . the football is kicked to ‘me’ … I swing that driver down the fairway! The smoothness of image visibility due to 240 Hz processor speed is awesome and enjoyed by the kids with their video games and for family movie night. With all ‘meat’ of a TV thoroughly examined, it is good to review the extra sizzle that brings value to price. 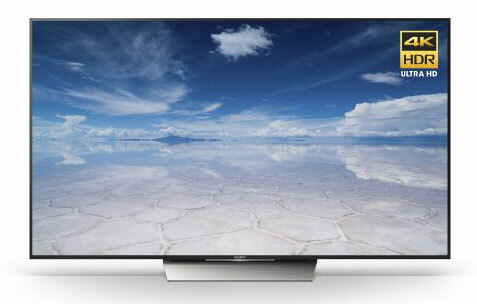 These extra technical features are referred to as Smart TV. With the Q8C you will find easy navigating to the five pre-loaded popular apps: Netflix, Amazon Video, YouTube, Hulu, and HBO Now. All apps are easily accessed along the bottom of the screen with the Tizen OS. There are four HDMI ports and three USB ports for connecting to other communication devices, however, this connectivity is found not directly on back of the Q8C TV but on a peripheral device called One Connect. This device plugs into a specific port on back of this sleek TV. There is one universal remote used for toggling from live TV to apps and is simple with a few buttons along with voice command for channel selection, volume control, search content or apps. To conclude our review of the Samsung Q8C TV models there is no doubt that this is high-end luxury TV viewing. The contrast ratio gets high marks, the color brightness is superb and angle viewing shows only a slight color difference. The Smart TV with abundant access to streaming content through apps and other external devices that can connect to TV makes family time special time – with movies, sports, video gaming. Order the pizza and enjoy life in brilliant color!